Quiz: What Do You Know About Dental Implants? Losing a tooth as an adult can be quite a different experience than you had when you lost a tooth as a child. The loss of permanent adult teeth can have negative and serious consequences for both your oral health and your smile’s appearance. Dental implants can play an effective and important role of restoring your smile after tooth loss. If you live in or near Sheridan, WY and have lost one or more teeth, it may be time to consider calling us for a dental implant. 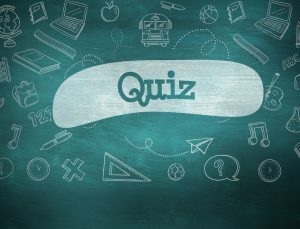 In the meantime, you can test your dental implant knowledge with this pop quiz! True or False: Dental implants can help protect against more tooth loss. True or False: Implants can be used with bridges and dentures. True or False: Dental implants do not replace a tooth’s roots. True or False: Implants help restore your smile’s appearance. True. When even just one tooth is lost, the body can assume that it needs to decrease flow of calcium and phosphorus to the jawbone surrounding the lost tooth. Eventually this can lead to a loss of bone density in the jaw, which can soften and weaken the bone. If the bone stays weak, it can lead to more tooth loss. Replacing a lost tooth with a dental implant influences your body to continue the flow of important minerals to the bone. True. When paired with dental implants, a dental bridge or dentures can be more stable, last longer, and look more natural. False. Dental implants are titanium posts that take the place of the roots of a lost tooth. The implant provides a permanent foundation, a sturdy base for the tooth’s replacement, and stimulation for the jaw. True. Whatever prosthetic is best for your smile, a crown, bridge, or dentures, can usually be paired with a dental implant. When a prosthetic is mounted securely onto an implant, it rests closer to the gum tissue for a more natural looking appearance. Do you have any questions about dental implants? To schedule a consultation, call Grinnell Street Dental in Sheridan, WY, at (307) 672-7567. Along with residents of Sheridan, we also proudly serve the residents of Gillette, Billings, Miles City, and all surrounding communities.